American photographer Steve McCurry (b. 1950) is universally recognized as one of today's finest image-makers and has won many of photography's top awards. 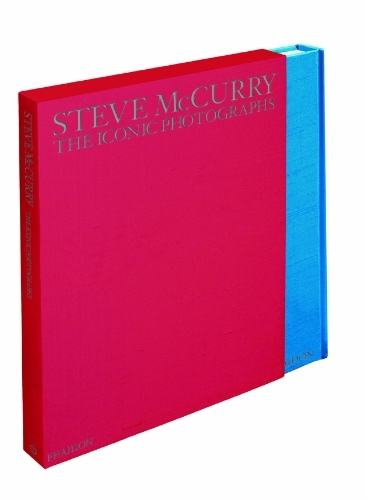 This special limited-edition monograph brings together the most memorable and beautiful of his images, taken around the world over the last 30 years. McCurry's ability to cross boundaries of language and culture to capture fleeting moments of human experience is unique. With his discerning eye for form and colour, shape and symmetry, he offers us windows into other worlds. Seen at the large scale of this new book, McCurry's images are particularly powerful: reproduced at slightly larger than life size, his portraits have an extraordinary immediacy and impact, while even the smallest details of his spectacular landscapes are clearly visible on the page. In this title, portraits of children, pilgrims and farmers are presented alongside views of ancient temples, busy city streets, dramatic mountain landscapes and quiet scenes of daily life - people are seen fishing, playing, working and praying. The images are presented in an uninterrupted sequence for maximum impact, and all the photographs are shown at either full-page size or as double-page spreads. The extended picture captions are at the back of the book, accompanied by colour thumbnail images for quick identification.